Sorry for the lack of posts but firstly I'm trying to save my money for when i go to London so I'm not really buying that much so not alot of reviews to do and secondly I've got family that have come on holidays and theres a five year old to keep entertained. 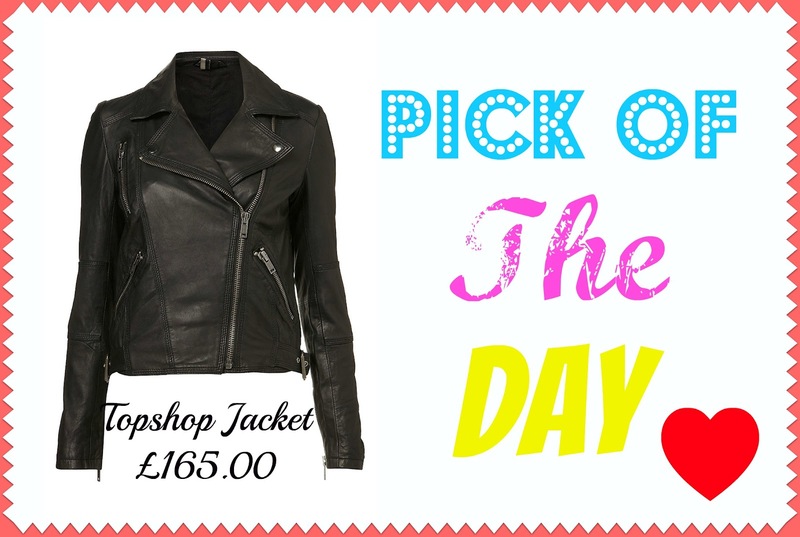 I've just got a small post today its a leather jacket from Topshop that i really want without the price tag it's £165.00 which i suppose for a leather jacket isn't too bad ( if only my bank allowance would allow it ) This is just a normal leather jacket which i would prefer because it would go with everything. Hope everyones enjoying their holidays! Plus thanks for all the new followers !